In one word 'perfect', describes this charming village house with private sheltered garden, play equipment and plenty of shadow areas. 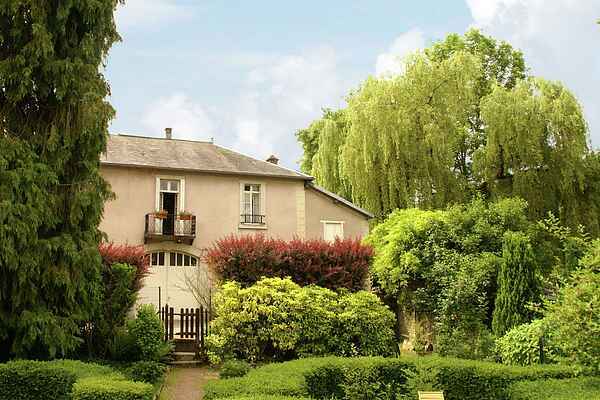 Your holiday home is right at the edge of the river Ouche. Enjoy dining under the pergola on the raised, shaded terrace with garden furniture and barbecue. The sound of rippling water in the background: heavenly! Tourist information centre and bakery can be found at the village square and there's also a supermarket in Bligny. This carefully renovated holiday home is located in between the rugged area of Morvan (30 km) and vast vineyards between Beaune (18 km) and Dijon (49 km). From Bligny you can embark on interesting trips with the tourist's train, visit the Musée des Anciens Outils (old tools) or ancient washing place. Afterwards you can enjoy the lovely outdoor cafés on the charming village square located just 200 m from the house. You can go swimming in Arnay-le-Duc (18 km). You love culture? In that case, make sure to visit the beautiful castles of Châteauneuf (16km) or Commarin (22km) Along the Canal de Bougogne, just 8 km from your house, you can go on lovely bicycle trips. The bicycle paths along the channel are over 200 km long. That will allow you to bicycle all the way to Dijon. There's a golf course by Chailly-sur-Armançon (28km).